The number of barbers shops in the US decreased by 23 percent between 1992 and 2012. Since 2013, however, barbering has become the fastest growing profession in the US, and worldwide the male grooming industry is expected to be worth more than $26B by 2020. In less than a decade barber shops have gone from being a forgotten relic to being the darling of landlords and the male grooming industry. What started out as a trend driven by nostalgia and – for want of a better word – masculinity, is now so entrenched that it’s no longer fair to call it a trend. But as with anything that starts out as a trend, the market is now more than a little crowded, making it increasingly difficult for any barber shop to establish itself without almost no marketing effort. 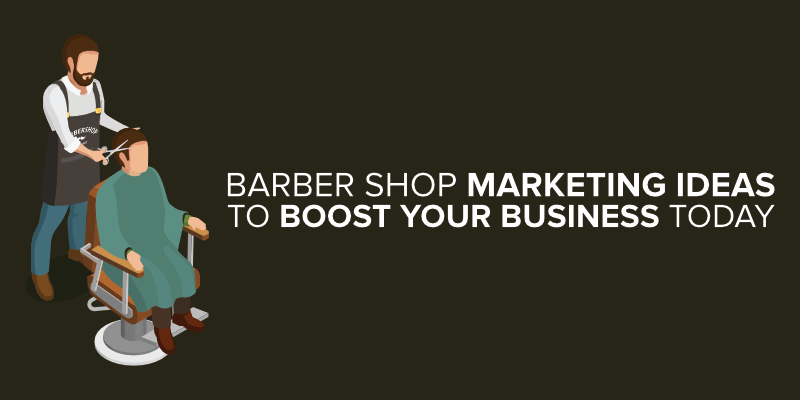 However, barber shops are small businesses, and small businesses have limited resources when it comes to marketing, meaning that when it comes to marketing a barber shop, the best approach is one often repeated in larger corporations: work smarter, not harder. Thanks to society’s reliance on technology, there are several elements of your business that can be setup as enablers for both passive and active marketing. 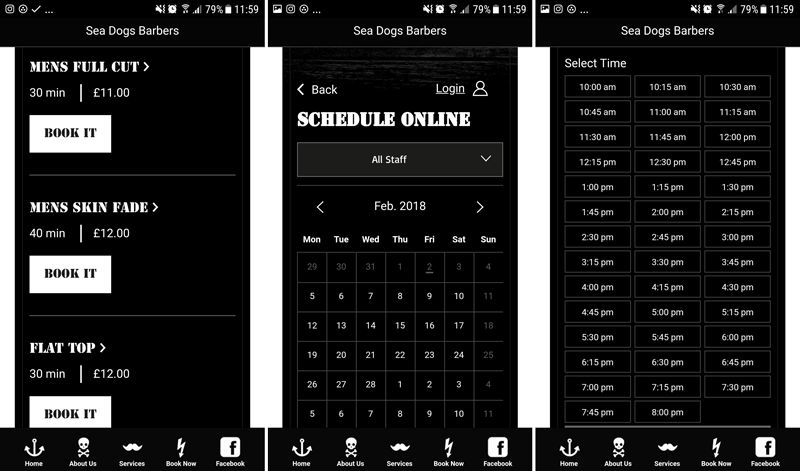 In this article we will look at various tactics that you should be using to market your barber shop, and while the best time to start using them is before your barber shop first opens, they can also be introduced – or enhanced – later and still be effective. The personality and values your brand represents. Use of colour, typography (on your website, and in any printed marketing materials). The look of your shop, including decor and how any employees dress. The style of any photos you post online. Your marketing’s tone of voice, which is certainly influenced by personality and values. Every Birds reflects its community. Whether it’s cuts for a cause at a music festival, turning walls into free gallery space for artists or giving teachers a break at the register, we think local when it comes to giving back. That short paragraph perfectly sums up their personality and values, but also shows that they know their target audience is going to differ somewhat from one location to the next. Each location looks different, but there is still some consistency that carries through. And they also show that when it comes to barber shops, brand doesn’t need to equal bland. which helps illustrate why you need a website for your business. loads quickly on mobile devices. Which has led them to start testing a mobile-first index, and announce a Page Speed Update for July 2018. Neither of these will see your website disappear from search engine result pages (SERPs), but they could result in your site appearing lower down in SERPs. 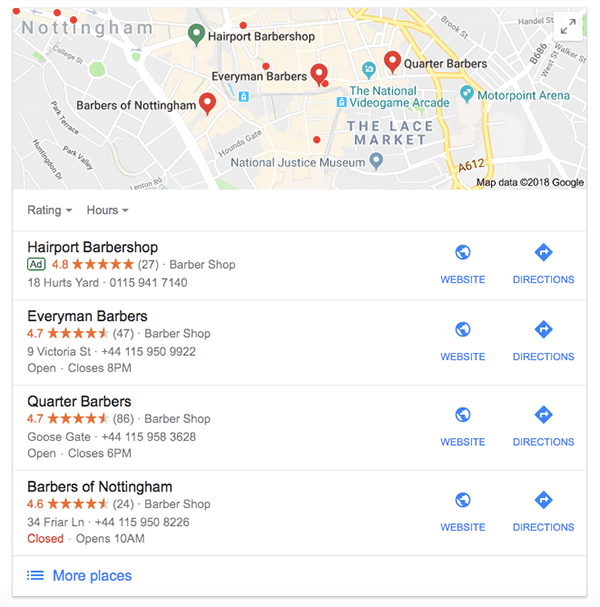 You can try to avoid any impact by first ensuring the website for your barber shop is optimised for mobile, and then testing to see if there are opportunities to improve page load speed – spoiler alert: there are always opportunities. While ensuring your website is accessible and fast on mobile devices is extremely important, it isn’t the only thing that might need fixing on your website. Barber shops had a long tradition of not taking bookings, only walk-ins: you popped into your local barbers when you had time, hoping all the way there that they weren’t too busy, and then sat and waited for your turn. But the modern revival of barber shops only retain a few features of their predecessor’s, and you’re more likely to find customers wanting the convenience of a scheduled time. 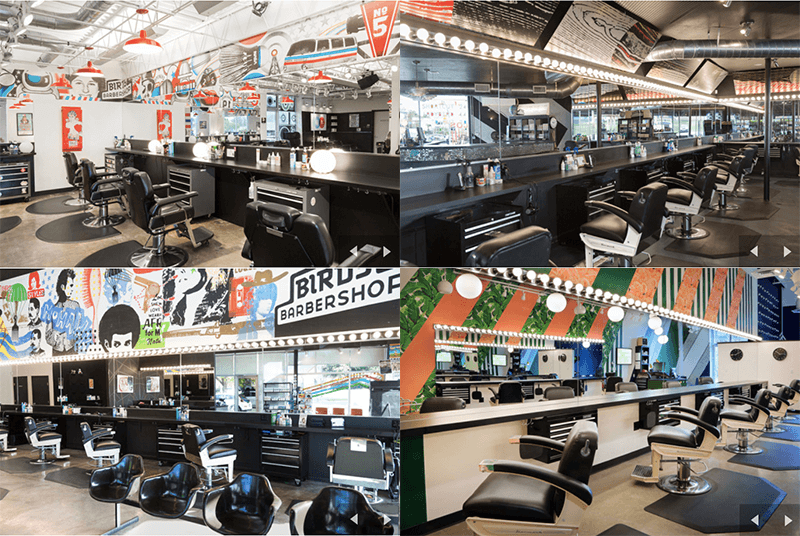 Birds Barbershop accept walk-ins at all their locations, or you can call ahead, with schedules for all their stylists – but no booking form – published on their website. Hairport Barbershop only accept walk-ins on Saturdays, with all other days for appointments only. In contrast, both Brik Barbershop and Barbers of Nottingham have a booking form on their website, with no mention of walk-ins. Whether or not you accept walk-ins is entirely up to you, and your customers. But if you allow – or only accept – appointments, then the inclusion of a booking form on your website is essential. Your website represents your business 24-hours a day: it makes your business discoverable at all times, and allows customers to learn more about you, and to interact with you, at any time. Having a booking form extends this by making it possible for them to schedule an appointment at any time. But consider investing in a professional appointment scheduling service, since many of them include a customer management component, allow the sending of automated appointment reminders, and integrate with many mobile payment solutions, making them more robust than a standard booking form. Appointment reminders are a useful way to minimise cancellations and missed appointments, while customer management solutions enable you to not only keep notes on each client, but also send them marketing communications such as promotions, or even just a reminder that they haven’t been in for a while. And mobile payment solutions just make it easier for your customers to pay. Your website is a largely passive marketing tool, but with the right set up and integrations, it can be used for active marketing too. You’re a local business, your target audience is local, and when it comes to having an online presence, your website should obviously be more visible to people searching locally, not someone 3,000 km away. Local SEO is about more than just having your address visible on your website, and maybe a few mentions of your town or area name in your website copy. 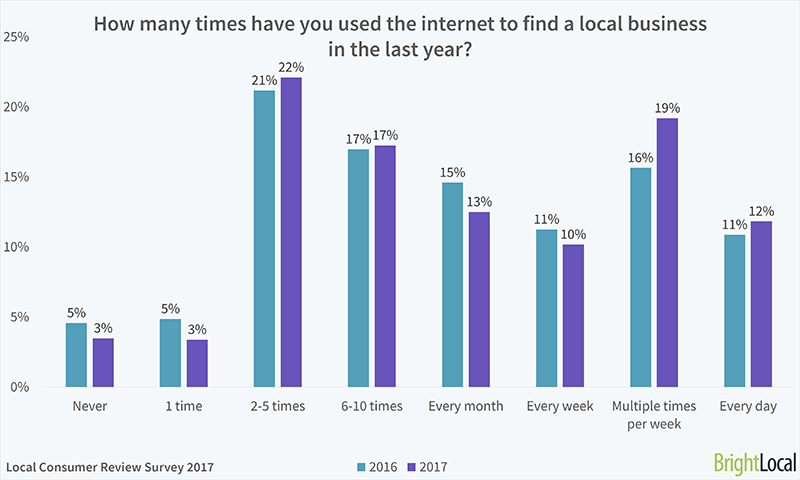 If you’ve ever done a brand agnostic search for any business or service that is available in your location, you would have noticed Google’s search results usually include what is known as a Local Pack. A Local Pack consists of a map of your location, along with three local businesses matching your search query. Each business entry includes a review rating (if available), business type, address and contact number, trading hours, and links to the business website and directions. Getting your business to show up in a Local Pack isn’t a sure thing, but to even be considered requires you to have first added your business to Google My Business (GMB). GMB is a free service through which you’re able to list various details of your business with Google – for possible inclusion in Local Packs, and Google Maps. The more information you enter, the better, but try to keep your physical address and contact numbers exactly the same as they appear on your website. Structured data – or Schema – is a term you may have encountered, but know very little about. Structured data is little more than extra bits of HTML that are added to your site’s code which help Google understand more about your business and website. More than that, structured data can also make your business stand out in search results, with the ability to add structured data to your business name, trading hours, location, and booking form, which could then be displayed in a Knowledge Graph card. Adding structured data to your website can be a little complicated, but if your website uses WordPress, you will find plugins that make the process easier. Alternatively you can use Google’s own Data Highlighter, or ask your website developer to assist. The effort in implementing structured data is worth it, since your business stands to benefit through better visibility in search results, leading to higher click-through rates, leading to more customers. We’re now getting into practices that are more active forms of marketing, which includes social media. Know who your audience is – when you’re just starting out you would have identified your target audience. It might be quite broad in the beginning, but in time you’ll be able to refine it in line with you actual customer make up. The same applies to social media: once you have build a following, check the demographic makeup of your following. It should more or less align with your actual customer. Have social media goals – are you using social media because everyone says you must, or do you have a clear goal you want to achieve through the use of social media? This could be something as simple as increasing brand awareness, to something more strategic like growing the sales of your own label products. Research your competitors – compile a short list of your immediate competitors. Focus on those closest to you, and those targeting a similar audience. Monitor their activity on social media to help generate ideas (be inspired by them, but don’t steal from them), and to compare their follower growth and activity to your own. Share great content – not easy in the beginning, but in time you will get better at it, and also have a clearer idea of what type of content your audience responds to. Don’t be afraid to have content themes, such as a focus on moustaches, beards, and testicular cancer during Movember, a focus on fathers during June, etc. It is only through experimentation that you will get to know what your audience enjoys. You should also not ignore specific social media features such as Stories, Video and Live Video, Polls, and others. Monitor and improve – Keep track of your performance each month, noting follower growth, engagement, what posts generated the most engagement, etc. Many of these metrics are provided by each social media platform, or you can investigate any of the paid solutions also available. You don’t need to be active on all social media platforms, but you do need to be on those used by your target audience. Pall Mall Barbers have profiles on seven different platforms, but are only very active on four. London Barbers have limited themselves to Facebook and Instagram only. Try to keep the username consistent across all platforms. Not as easy as it sounds, with Pall Mall Barbers managing without too much difficulty, but London Barbers having a slight variation between their two usernames. Add as much info as possible to your profile, especially on Facebook. You don’t need to post the same content across all platforms. 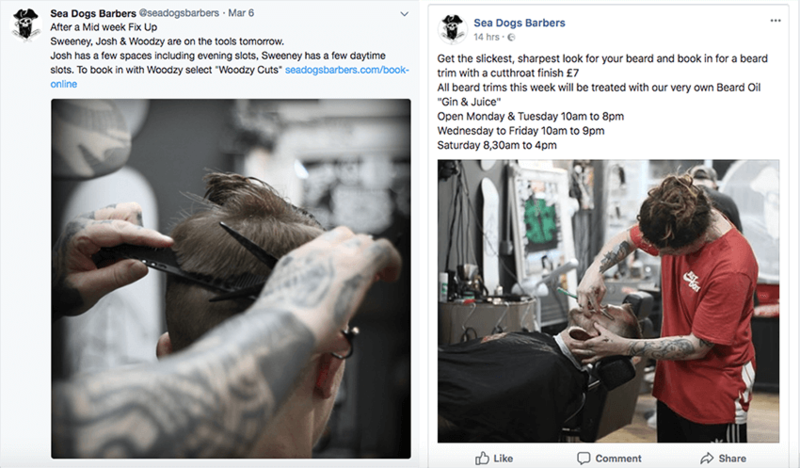 Sea Dog Barbers have some overlap between Facebook, Instagram, and Twitter, but not all the posts are identical. What should be consistent is activity: check all your accounts daily to see if there are any comments that you should respond to, and any mentions that you should engage with. Have a monthly social media marketing budget. It is becoming increasingly difficult to reach your full audience on Facebook without boosting posts, and running sponsored posts. 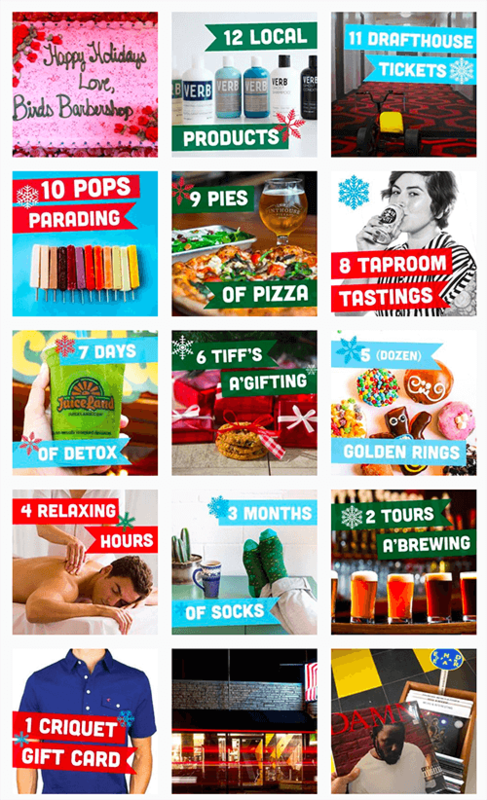 But that isn’t the only reason to run paid marketing campaigns. They’re also a very effective way to reach potential customers who don’t know about you yet. Social media marketing allows you to be quite precise with your targeting, from general demographics, through to interests, and narrowly defined in terms of location too. If you get your local SEO and use of structured data right, you’re well on your way to being visible in local search results, but that doesn’t mean you should completely forego the use of search engine marketing (SEM). Paying to appear in relevant search results is money well spent if it translates into click-throughs to your website, and new customers in your barber shop. The Ugly Men’s Association understands this, with a simple AdWords campaign that displays when searching for barbers in Perth. Unfortunately, it displays at the bottom of search results, when it could have been more effective had it appeared at the top of the page, close to – or in – the Local Pack. The key, as with social media marketing, is to make sure your audience demographics for any paid campaigns are strong, and always keep it local, within a 50 km radius of your location. 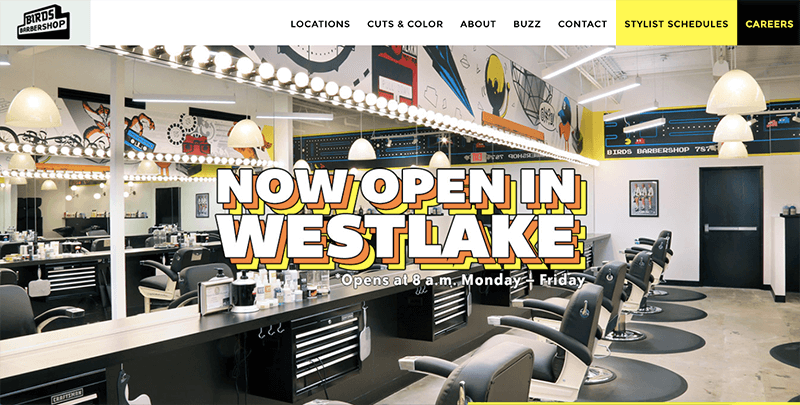 Email marketing, like barbering, went out of vogue for a bit in the early aughts, but is experiencing a revival with both businesses, and consumers. Although it is very cost effective, you need to remember that it involves marketing to people who are already a customer of your business, either current or past. This isn’t to suggest that there’s no benefit, but it will influence the type of marketing you are able to do this way. This is a marketing channel that is useful for keeping customer loyal, and increasing revenue. It is used to send out details of any promotions you are running, details of new products you are stocking, or just to promote existing products. If you use email marketing in conjunction with a customer management system, you can even use it to send out reminders to customers you haven’t seen in more than 4-weeks. But always remember to do so within the parameters of the General Data Protection Regulation, or the UK Data Protection Bill. […] we wanted to let our customers book 24/7 and not just during our opening times, so we added a booking system to our webpage. We also had a direct booking link from our Facebook page to our webpage. This proved massively successful but customers said they wanted something more direct than Facebook or having to use the website, that’s when I came up with the idea of an app. With a mobile app your customers have a direct link to your business, and more importantly, you have a direct link to them. For them it means fewer steps to either ask you a question, see your latest promotions, or even make an appointment. For you it means access to features like push notifications, for sending out marketing-related messages directly to all or some of your customers, including only to customers within a certain radius of your location. And it also promotes brand awareness and affinity, since your logo is now displayed as an app icon on their phone screen. Marketing is never easy for small businesses, which is why an approach that combines both passive and active marketing is best. Your passive marketing channels such as your brand, your website, and SEO aren’t entirely passive. They require a bit of effort in the beginning, and some ongoing maintenance, but they also serve to promote your business at all times, even if you’re not around. Active marketing is more hands on, but with a proper strategy in place, and a clear understanding of what your goals are, and what needs to be done to achieve them, it shouldn’t rob you of too much time. Leaving you to do what you do best, manage your barber shop.